The poster says it all! Come join us on July 31 (Friday) for a special Support Group session to mark World Hepatitis Day 2015. July 28 is the official World Hepatitis Day when all around the world health care professional and organizations join together in bringing awareness to the dangers of this virus. With 400 million infected, and 4,000 people dying everyday of the virus, we need a lot more work in getting awareness and education about the virus out there. 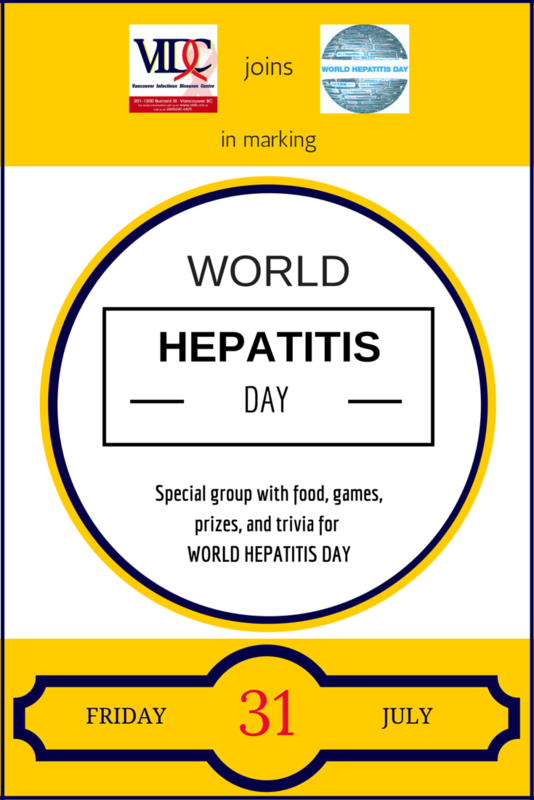 Our VIDC event on the World Hepatitis Day 2015 Events Page. Click on the photo to see what other events are happening worldwide! 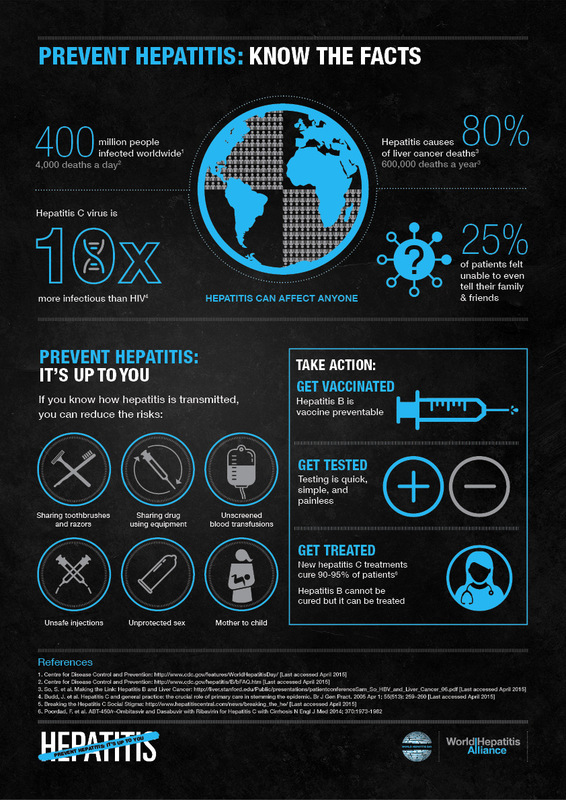 To find out more about World Hepatitis Day 2015, click here. On their website, they have toolkits and materials you can use to spread the world locally. Infographics and posters are readily available for download — in various languages too. There is a lot you can do on their website, from posting a photo of yourself to show solidarity, to browsing events you can be part of worldwide! Congratulations are once again in order for Dr. Brian Conway and the VIDC Team! 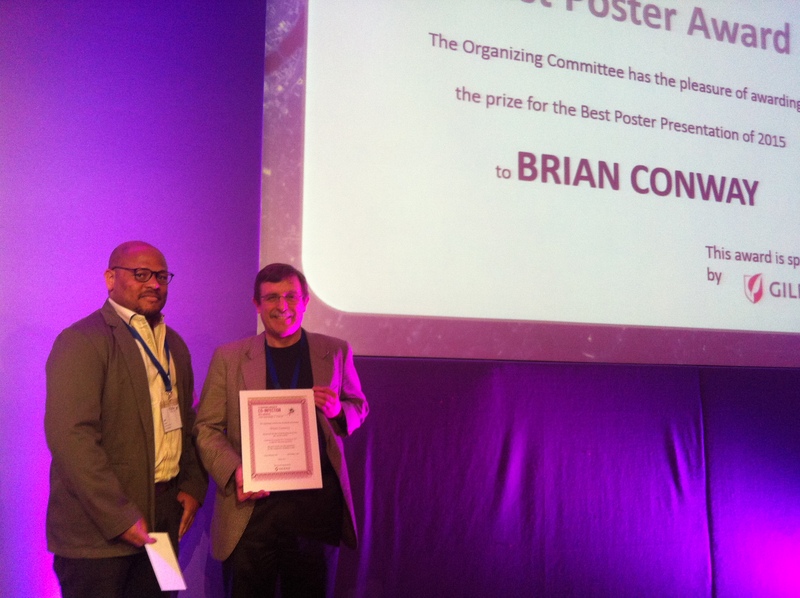 Dr. Brian Conway MD FRCPC with a huge smile as he accepts the award for Best Poster Presentation 2015. Congratulations, Dr. Cownay! At the 11th International Workshop on Co-Infection HIV and Hepatits in London last June 11-12, Dr. Conway was presented with the Best Poster Presentation 2015 Award. He presented a total of three (3) posters for the three abstracts submitted for the conference. The winning poster was for Correlates of successful HCV treatment in HIV co-infected vulnerable populations. 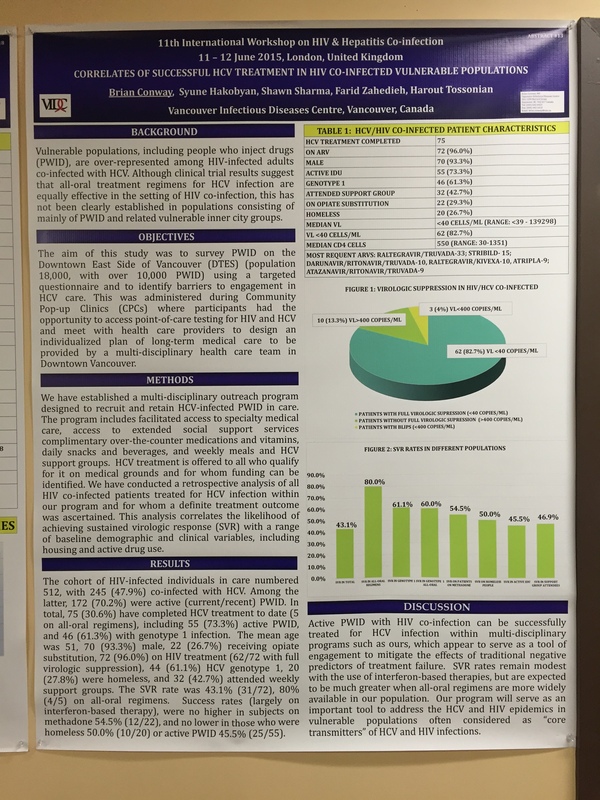 Two of the abstracts — including the one with the winning poster — relates to VIDC’s work with the Downtown East Side community (Correlates of successful HCV treatment in HIV co-infected vulnerable populations and Cascade of Care of HIV/HCV Co-infected Patients on the Downtown East Side of Vancouver). The third is focused on treatments and medications concerning co-infected patients (Changes in antiretroviral therapy while on HCV treatment in HIV/HCV co-infected patients). These abstracts can be accessed through clicking on this link or the photo of the cover of the abstract book. As a research and medical clinic, VIDC boasts of providing holistic care both directly and indirectly to the community. Through our community engagement initiatives such as VIDC Connect, HCV Treatment Support Group, DTES Pop-Up Clinics, etc., and the high standard of care we provide, VIDC is able to carry out its commitment to holistic care directly. Consequently, through the research work we do, we are impacting the community by creating spaces for dialogue within the academe and policy-making spheres informed by our direct involvement with the community. The award-winning poster on display in one of our waiting areas.